Despite an underwhelming debut in March, Vogue Poland successfully picked up the pace and managed to win over our forum members with the Eva Herzigova and Natalia Vodianova covers that followed. 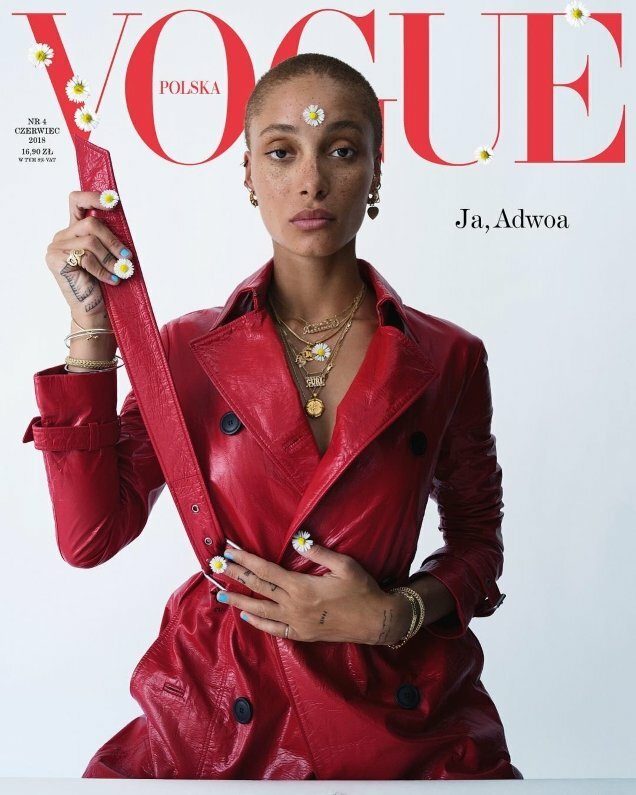 The Polish magazine’s fourth installment, however, puts it back at square one with an unimpressive Adwoa Aboah cover for June 2018. Photographer Tim Walker captured the current face of Chanel Eyewear for her sixth Vogue cover, as she serves up her signature blank stare in a red leather Christian Dior trench coat she styled herself. “What a terrible cover! I will take tacky, even vulgar over something this insipid. Just Adwoa with another lifeless and blank expression,” slammed Miss Dalloway. “So bored of Tim Walker… every shoot looks the same with little style or substance. I’ll hold my tongue on Adwoa as my feelings of her modeling are not positive,” 333101 chimed in. Fiercification wasn’t here for the cover either. “No. And what’s with the awful art direction behind her holding the belt up towards the V of the Vogue as if to blend in with it? I can’t believe the whole industry often makes it appear like it’s so hard to create a beautiful cover image these days. Really? It’s not hard!” he scolded. “Their worst cover to date,” declared gazebo. Are you just as unimpressed as we are? Share your thoughts here.